Help your members find the perfect fit! 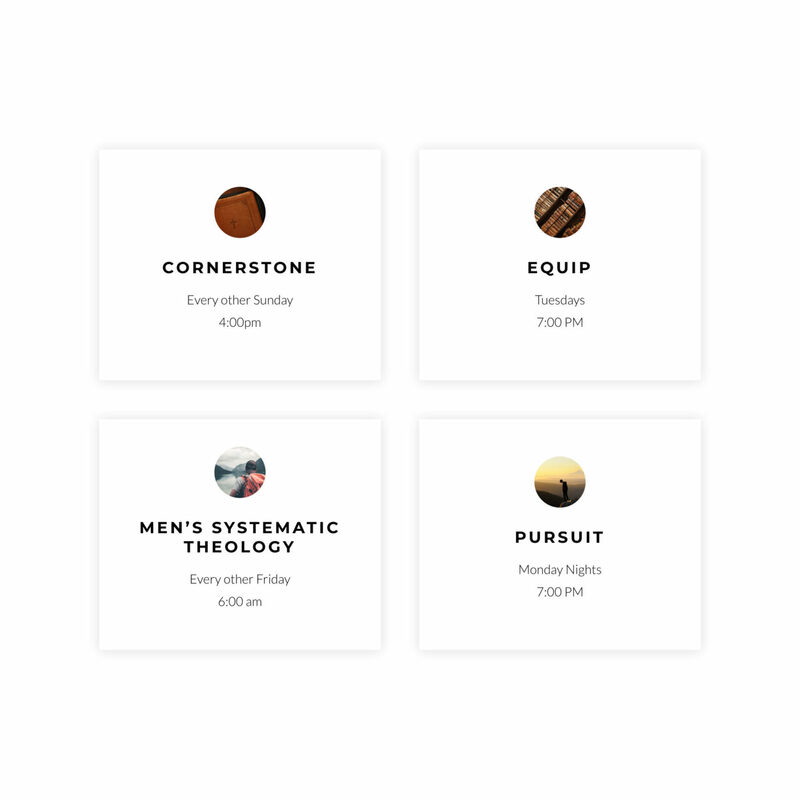 Use our small groups engine to display groups in your user's surrounding area and let them filter by location, ministry and time. Let your members search by Ministry, Area, Day of the week, etc. 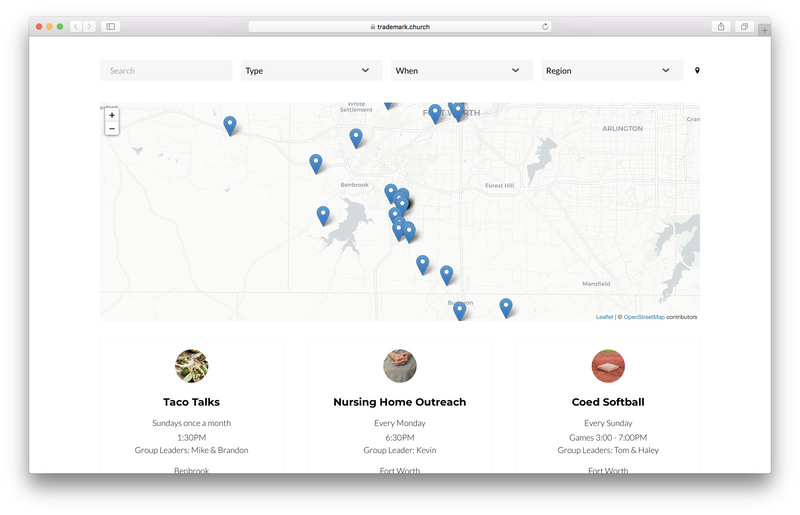 Display your groups on a map so people can find groups near them. Use our quick for to allow people to contact the group leaders while keeping emails private. 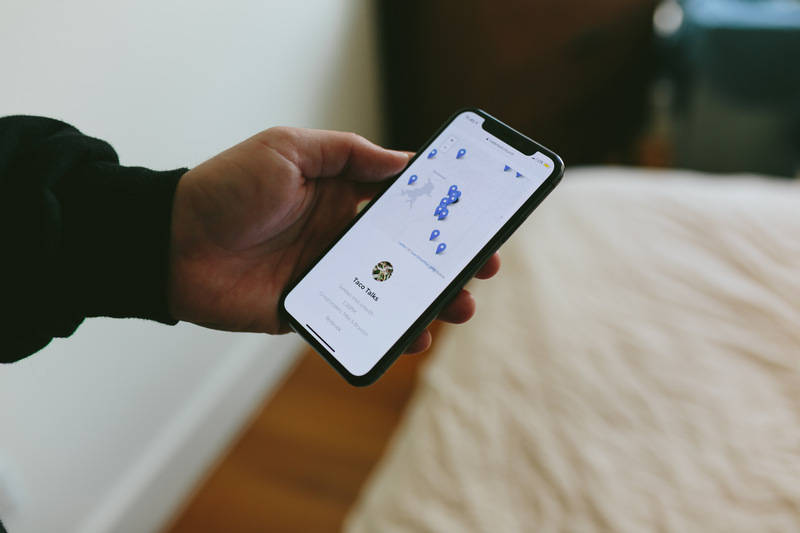 Signup today and choose the Premium Plan to start reaching people with our Small Group Feature.